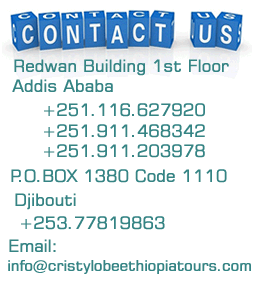 If you just want a fun weekend break or are on a short visit to Ethiopia a two day tour may just be what you are looking for. 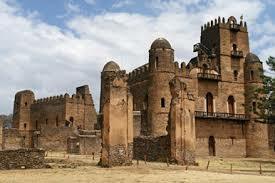 There are many great rides and fantastic locations to visit within two days of Addis Ababa. 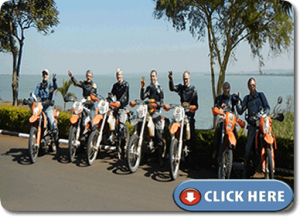 There are some examples of good fun rides in this page but if you want to visit a specific location or do something different get in touch with us we will advise you if it is possible for this number of days and send you a different itinerary. Day 1:This trip is a good compromise for those who want to have some sightseeing and some fun riding. From Addis we will ride east through Asela, Dodola and Shashemene, the un-official capital of the Ethiopian Rastafari community. We overnigh in Yirga Alem, in the Aregash Lodge located in the middle of a beautiful forest where hyenas can be heard and spotted when night falls. 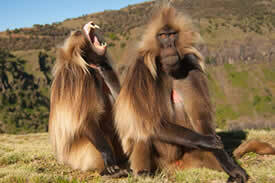 Day 2:You can visit the surroundings of the Forest in the morning before heading north, back to Addis. We will stop for lunch on the relaxing shores of Lake Langano. Here the distinctive African Fish Eagle can be seen flying the skies where its cry fills the air. 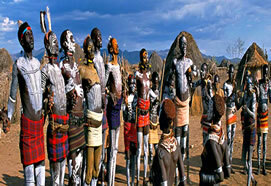 We will visit the Abyata-Shala Lakes National Park. Lake Shala is an exceptionally beautiful stretch of water, with several hot sulphurous springs that bubble up by the shore and flow into the lake. The beaches of both lakes are saline and unstable thus we will not be able to venture too close but the ride is magnificent and at a safe distance you will see thousands of flamingos riming the blue bays of the lakes with pink. Day 1:Today we will ride through the magnificent Menagesha National Forest at altitudes ranging from 2,300 to 3,000 meters in a mix of road and off-road riding. On the way to Welisso we will stop at the Wonchi Crater Lake an extinct volcano that reaches 3,386 meters. 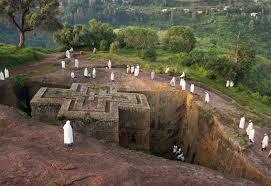 180 Km from Addis we will reach Welisso which will be our stop for the night. Here we can see fine examples of Gurage homes (one of Ethiopia ‘s most remarkable and industrious people) with roofs that almost touch the ground on each side. Welisso is known mostly for its hot spring, the water of which is regarded as holy by Ethiopian Christians and a relaxing swim can be taken at a naturally heated swimming pool in one of the local hotels. Day 2:We will take a different road on the way back to Addis where the road between Welkite and Hosaina offers dramatic views of the highland plateaus and surrounding valleys.